In which pub was the notorious murder that led to the Kray twins becoming Britain’s most feared gangsters? Where is the hostelry in which Jack the Ripper’s victims drank? How did Burke and Hare befriend their victims in a Scottish watering hole before luring them to their deaths? What is the name of the pub where the Lord Lucan mystery first came to light? And how did a pub become the scene of the murder that led to Ruth Ellis going to the gallows? For centuries, the history of beer and pubs has gone hand in hand with some of the nation’s most despicable and fascinating crimes. 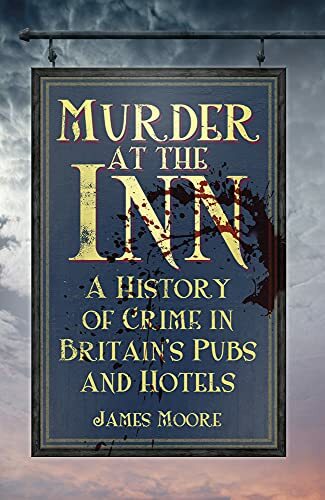 Packed with grizzly murders – including fascinating little-known cases – as well as sinister stories of smuggling, robbery and sexual intrigue, Murder at the Inn is a treasure trove of dark tales linked to the best drinking haunts and historic hotels across the land. James Moore is a journalist with 20 years of experience writing features for national newspapers and magazines. His work has appeared in "The Sunday Telegraph," Daily Express," "Daily Mirror," and more. He is the coauthor of six books.